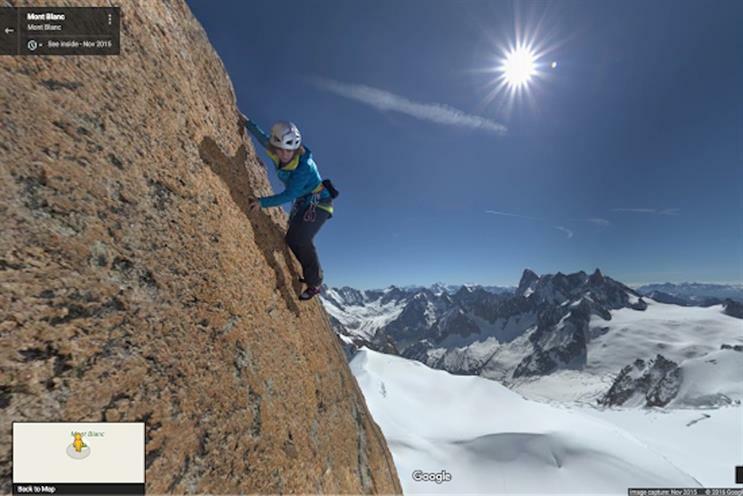 Google has released a special feature in Google Maps that allows users to see and hear about activities such as ice climbing, extreme skiing and running on Western Europe's highest mountain. The tech company’s Street View team went to Mont Blanc to work with alpine experts including ski mountaineering champion Laetitia Roux and climber Ueli Steck to bring what they see to people around the world. Google said the imagery would also serve as a digital record of the mountain, which is changing as its glaciers recede due to climate change. In one of the videos in the package, veteran guide Patrick Gabarrou offers greater insight into how the rising temperatures are affecting the mountain. Google’s exploration of Mont Blanc follows last year’s special project on El Capitan in California’s Yosemite National Park.